Be it a wrench to tighten a loose bolt or precision testing equipment in a mobile workstation, having easy, uncluttered access to tools is key to completing projects quickly and efficiently. With custom foam tool casing from The Foam Factory, form-fit inserts can be created for your carry-along toolbox, cases for testing instruments or the drawers and shelves of your company’s tool storage, keeping things safe and organized. Even the most meticulously organized individuals occasionally face projects where the most important factor is time. And sometimes, people can become so engrossed in their work, keeping their tool set orderly becomes an afterthought. Tools get thrown into a box or drawer, a new one is grabbed and a formerly orderly tool collection quickly becomes an amorphous mass of metal and plastic. With the inclusion of The Foam Factory’s custom foam inserts in any tool storage device, staying organized, even while in the middle of a job, has never been easier. 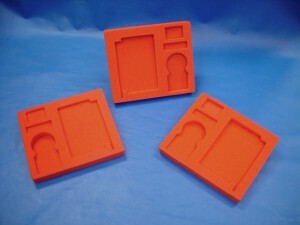 Made of closed-cell polyethylene or cross-linked polyethylene (XLPE) foam varieties, inserts can be designed in an assortment of thicknesses, with dimensions that will accommodate any type of tool, from a simple ratchet set to a power saw and replacement blades that need to travel with you to the worksite. The resiliency of polyethylene and XLPE, along with their shock absorbing qualities, makes these shatterproof, lightweight foams the most practical casing materials for tool packaging. The Foam Factory knows work can be a dirty job, where conditions and the elements can’t stop a project from being completed. Cleaning or drying tools immediately after use may not always be an option, yet another reason why polyethylene and XLPE are suited for tool casing. Their resistance to moisture, mold, rot, mildew and bacteria gives custom cases the durability and longevity open-cell foams cannot. The organizational difference between an unlined drawer or cupboard and one with custom foam tooling inserts is like night and day. The layout of similar tools of different sizes makes finding the right size for the job much easier and can make judgment decisions and guesswork situations simpler as well, being able to see your full range of tools in comparison to each other. Workshop organization also makes for a more efficient and safer shop. Perhaps the greatest benefit of custom casing is your constant organization will help ensure that you never lose or leave behind another tool. Tooling inserts utilize two layers of foam with two contrasting colors; often a bright solid base layer with a dark form-fit layer on top. This way, if a tool is missing, you’ll notice the bright color of the base layer foam, normally masked by your tool. Polyethylene is available in black, white, blue and anti-static pink and cross-linked polyethylene is available in black, white, red, blue, green, yellow and purple for creating a fully personalized case. With contrasting, two-toned foam layers, you’ll always know if a tool didn’t make it back into its case. Along with the organization custom foam inserts create, the tool protection they offer can also increase the life of your collection, by protecting them from unnecessary wear and accidental damage. In a carry-along toolbox without foam inserts, contents are constantly sliding around and jostling against each other. This constant movement can result in minor scratches or nicks that look unsightly, to broken drill bits or gouged screwdriver tips that require replacement. These problems aren’t limited to carry-along boxes either, as contents slide and shift every time a full-size stationary tool chest is opened as well. Aside from the unnecessary cost of replacing tools that were damaged because of the way they were stored, the inconvenience of discovering a tool you need to finish a project is unusable may be the worst part of all. 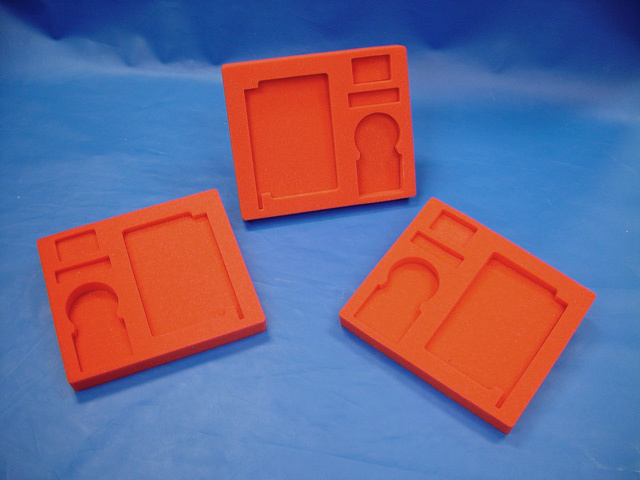 These situations are no longer an issue with custom foam casing inserts. Security is a top priority when storing or moving specialized tools that cost thousands of dollars and feature intricate and fragile parts. Transporting drills, electronics or repair parts for larger machinery is made safer by form-fit custom foam tool packaging. 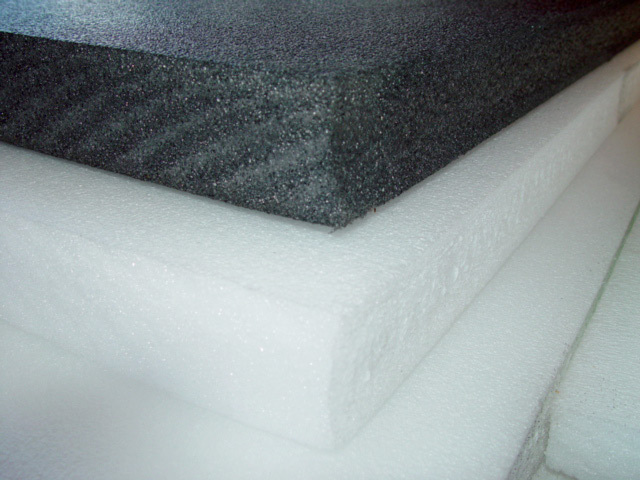 In addition to the shaped cutout forms, The Foam Factory manufactures custom lid liners to keep everything in place, from open-cell eggcrate foam to matching closed-cell foam. The Foam Factory has experience creating custom tool sets from simple home tool collections to drills, augers, compressors and testing instruments. Multiple layers of inserts can be made to store precision instruments efficiently as well. Foam sheets can be cut as thin as ¼ of an inch depending on the material, keeping even the smallest pieces accessible. For larger items, sheets can be laminated to any thickness for creating casing for deep products. Using a computer-programmed, abrasive-free waterjet cutter, individual projects can be cut to exact specifications, cost-effectively. Using a stream of water that measures only .005 inches in diameter with pressurization of 60,000 psi, shapes and contours can be cut out to fit around any tool perfectly. Even finger slots for easily grabbing smaller pieces can be cut out of the insert. For large-scale projects, The Foam Factory also has the capability to produce multiple, identical forms quickly and easily with a die cutter. Creating identical forms would be useful for a company with numerous work stations or tool storage cabinets. Top-layer fabric adhesion is also an option for people who want to customize a casing’s aesthetics further. The Foam Factory also offers more cost-effective custom casing options, with uncut packaging foam for creating your own do-it-yourself cases at home. Sheets can be trimmed to the size of the case, the layout of tools arranged on the foam and then traced and cut out. The Foam Factory recommends using dark top layers and brightly colored base layers for contrast, as well as using a soft-tipped marker to make visible lines without scratching the sheet. To cut the foam, a sharp utility blade without serrated edges is recommended for optimum control that avoids fraying edges. For a snug fit around the tools, cut along the inside of the tracings and for slightly looser fits, cut further out. After cutting out the tool shapes, simply flip the sheet over to hide the tracings and adhere it to the base layer. When creating custom inserts at home, be sure to take full safety precautions, including, but not limited to safety glasses, work gloves and a working on an appropriate cutting surface. Regardless of how you use your tools, be it for projects around the house or 40 hours a week on the job, keeping them organized and in excellent condition is a priority. The Foam Factory’s form-fit foam tooling inserts are an excellent way to ensure your tools are always right where they should be, safe and sound.